The first thing to know about truth is that it’s ageless and constant, it does not vary or shift, it is a piece of unalterable reality. But at the same time, Truth is what we believe in. Our view of truth is very closely tied to our perspective on what is true and for that reason, truth differentiates among individuals through their contrasting opinions. Truth, when said at the right time, in the right way, everyone considers it to be good and correct, however, a truth that’s spoken with bad intent is considered to be worse than a lie. I believe truth to be an expression, symbol, or statement that corresponds to reality and happiness. People often confuse truth and fact. Truth is often hidden behind the facts. The court often punishes a criminal on the basis of the facts, without bothering to unearth the truth behind the facts, the truth of the circumstances and discriminatory social and economic order which compelled the person to commit the crime. I consider truth to be a paradox. I am an idealistic individual and for me, the truth is as precise as mathematics answer to a question. There is one truth in today’s world gets diluted and undiluted to prevent it from coming out, I believe that honesty is a top-ranked ideal and achieving it gets more and more difficult each year due to the increasing complexity of life. It is certainly undeniably very hard to maintain in the thousands of words that come out of our mouths each day but it is something that can be achieved. The truth doesn’t exist, there are only different points of view. We cannot define truth as any one thing because we cannot know whether it is actually valid or not. If we say that facts are the truth, then we’ll hear contradicting facts tomorrow, then what remains of the truth? 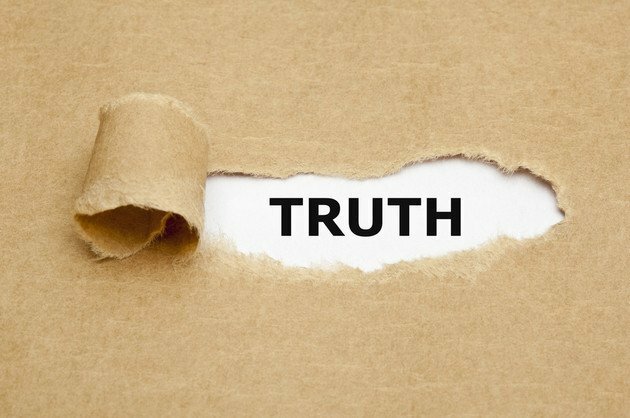 It all comes down to what we define as “truth”, the definition of truth per say has faded into a gray area, it has become distorted over the years. There is a personal truth and a (supposed) collective truth but those are always changing. Now with the introduction of alternative facts and fake news, the idea of truth becomes even more complicated, it becomes even more abstract. A lie can essentially just be called “an alternative fact” and the truth would just remain as “fake news”. Personally, I believe it is simpler to be untrue than to get into the complexities of truth itself. Maybe it has actually become easier, and better to lie perhaps.